Forget whether we should be steering the young into setting up a business in the middle of a recession. A small loan makes no difference to most entrepreneurs, who are driven not by money but by emotional factors. By Stefan Stern, visiting professor of management practice at the Cass Business School. You can't keep a good entrepreneur down. Take David Young, Lord Young of Graffham, who as a minister tried to rebrand the Department for Trade and Industry (as was) as the "Department for Enterprise" in the 1980s. In spite of a slight mishap 18 months ago, when he stepped down as a business adviser to David Cameron for talking insensitively about the recession, he has bounced back to speak up for entrepreneurship and the government's new StartUp loan scheme for under-25s. You can see what Margaret Thatcher saw in him, famously musing that "David brings me solutions" while other ministers merely whinged. Young displays many of the characteristics that mark out a true entrepreneur. He is energetic, he is resilient, he is driven and he doesn't give up. These are the qualities that all business people need when the economy is as troubled as ours is today. The question is: can a new loan scheme for young people really help the economy by making entrepreneurialism more likely to flourish? That is not at all clear. As Neil Lee, senior economist at the Work Foundation, points out, the failure rate for startups is high, and young people are less likely to be equipped for success than other more seasoned operators. "Successful entrepreneurship requires either a rare talent or skills, which most entrepreneurs only develop through time," Lee says. While £2,500 may be enough to set up a modest office at home, it won't do anything to boost demand in the part of the economy you are trying to do business in. And while some mentoring is apparently going to be available, it will be a lonely task for a sole trader keeping a business going in this market. Entrepreneurs are different. They don't take no for an answer. They pursue obsessions, beyond the point where other more conventional or conservative types would back down. They are also, crucially, often not really in it for the money. Their inner drive is emotional and may not have a rational basis. Sometimes entrepreneurs are trying to right a perceived wrong: they grew up in poverty and want to prove themselves, or perhaps they were bullied at school for being eccentric or a slow learner. Maybe a parent was unusually demanding, cruel or remote. Whatever lies behind their ambition, true entrepreneurs will put up with a great deal of hardship and uncertainty in pursuit of their goals. 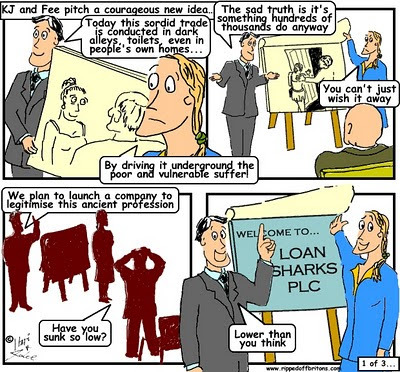 So for many, while a small loan will be welcome, it is actually neither here nor there in terms of providing an incentive to start a business. They are going to do it anyway. Young is right that today is not necessarily a terrible time to start a business. Some costs, such as office space, are low, and if you can keep revenue coming in at a time like this you should be well set for the moment (it must come, surely?) when the economy is more vigorous again. The growth in self-employment in recent times has kept official unemployment figures lower than they might have been. Clearly, many people are having to work hard and be "entrepreneurial" just to survive right now. 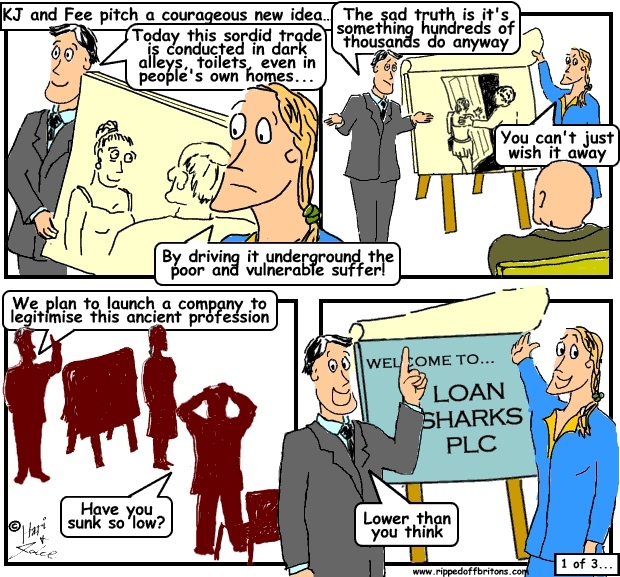 Still, we should be realistic about what this new loan scheme is likely to achieve. In an 80s TV commercial that trumpeted the then DTI as a "department for enterprise", a frustrated business leader declared that while his business was doing OK, it was "not doing great". In the summer of 2012 our problem is that the economy is not even doing OK, and there is not very much a new gang of enthusiastic wannabe entrepreneurs can really do about that. The writer is visiting professor of management practice at the Cass Business School, London. He was a columnist for the FT, and now writes occasionally for the Guardian and the Independent. So very true,desire has to be there,no start up loan can put that burning in your soul.